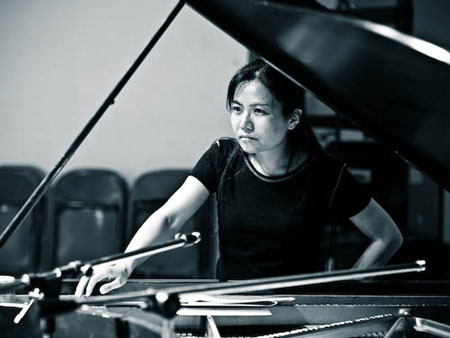 Resurrected this year after a hiatus of several years, IMOO Fest this weekend will present more than a dozen sets of improvised music, including several showcasing the Ottawa event’s artist-in-residence: pianist and composer Satoko Fujii. Even as IMOO Fest celebrates the prodigious Japanese artist — she’s been called “the Duke Ellington of free jazz” — Fujii, in anticipation of her 60th birthday next month, has been releasing music in 2018 at the striking clip of one album per month, demonstrating her artistry in a variety of formats. Similarly in Ottawa, Fujii will play a solo concert and two trio sets, including one with her group This Is It, which includes trumpeter Natsuki Tamura and drummer Takashi Itani. Fujii will also conduct the IMOO orchestra.